When ordering 2 or more ounces in the same order there is no guarantee you will get multiple pieces. Based on the sizes available at time of shipment, you may receive one or multiple truffles equal to the number of ounces purchased. 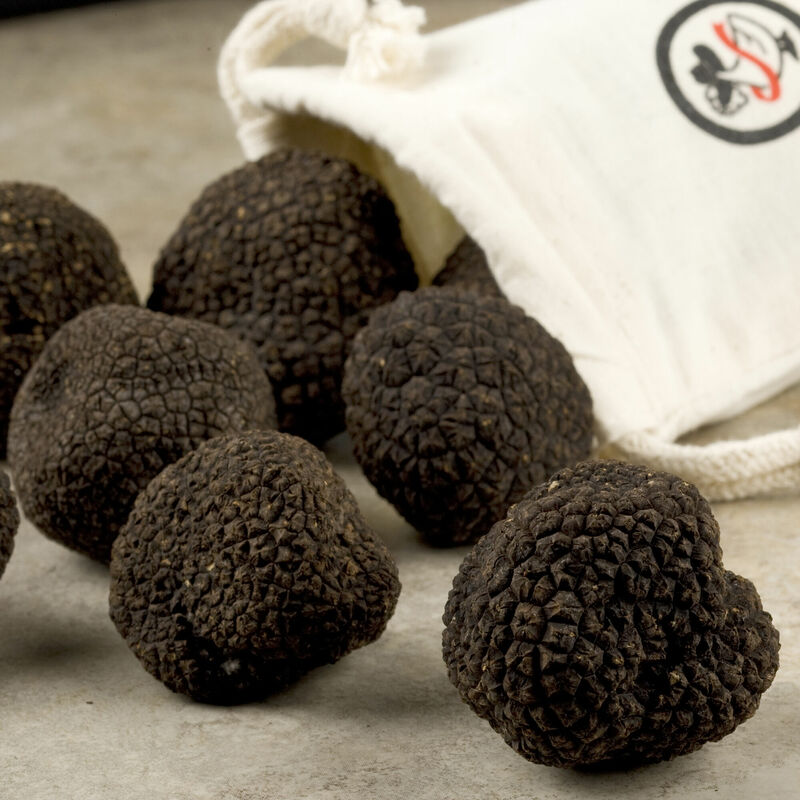 Known as the Perigord truffle, the black winter truffle has dark, robustly-veined flesh and the strongest flavor and aroma of all the black truffles. Black truffles can be found during the winter months in France, Italy, and Spain. During winter in Australia, cultivated truffles are available from specialized farms. We offer the best of black winter truffles from both Europe and Australia to extend the season of these culinary treasures. Please note: Because truffles are natural products foraged in the earth, quality and flavor will vary. We select truffles with great care based on visual and olfactory inspection, but cannot taste each truffle. Please see the cooking and serving tab for tips on proper truffle storage.